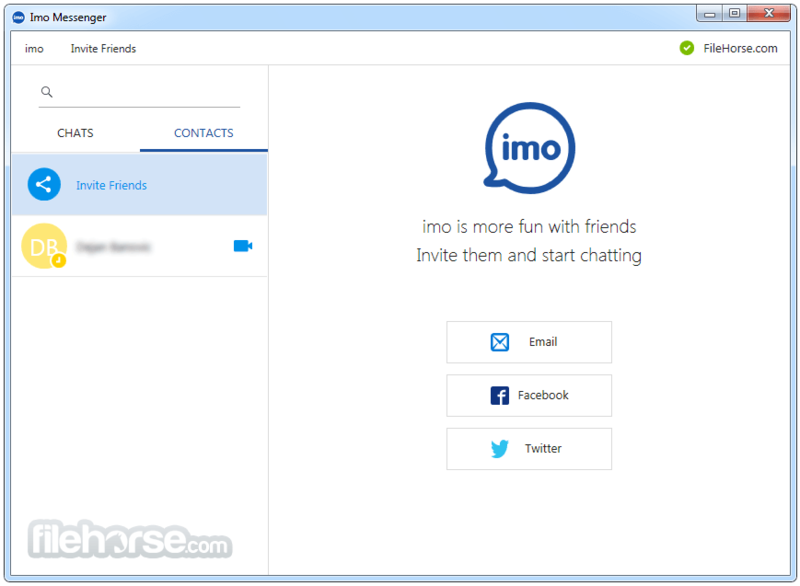 Imo Messenger for Windows is a popular online instant messaging cellphone app that enables you to chat with your friends, make free video calls, exchange images and photos. 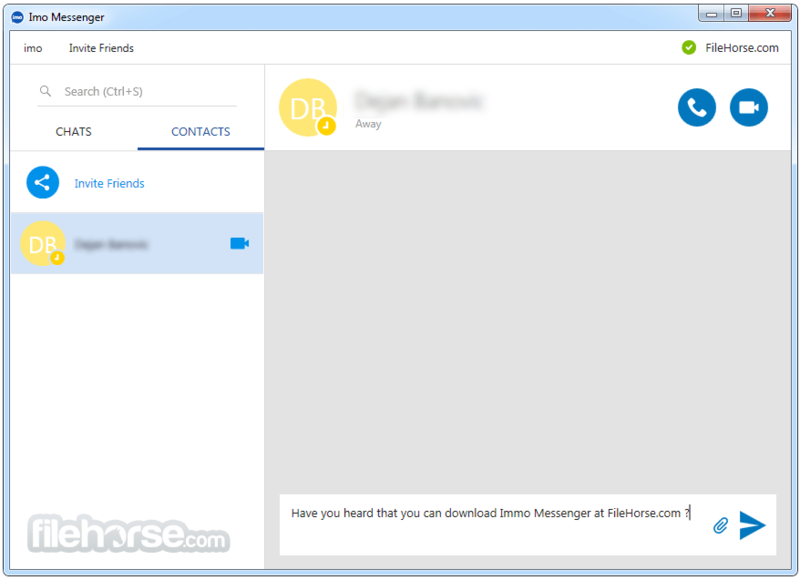 Imo Messenger for PC is a desktop version of messaging application that enables you to exchange messages from your desktop or laptop computer. That makes typing much easier and convenient than on a cellphone. 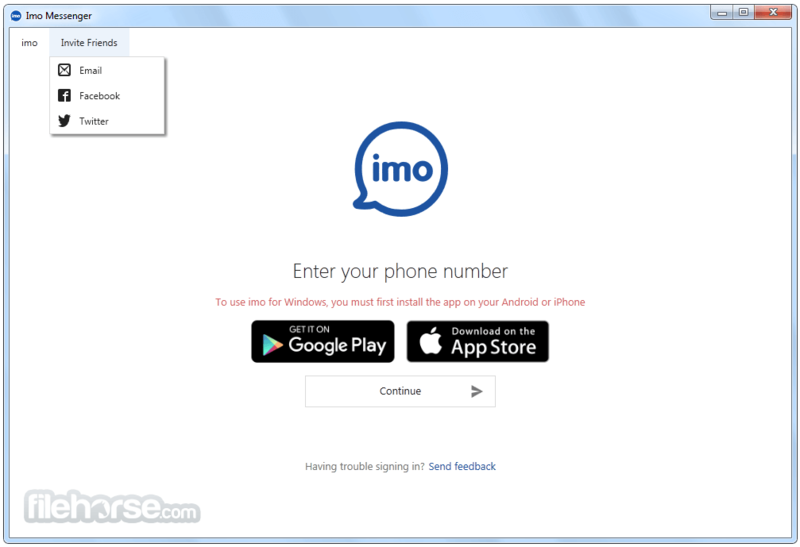 The user interface of Imo for PC application is very clean and easy to use but it is also very basic, compared to the cell-phone app. There is no support for emoticons, fonts size or color can't be changed and many similar settings that you can find in similar applications are simply not available. The application can be set to start after booting your computer and you can disable sound and popup notifications. 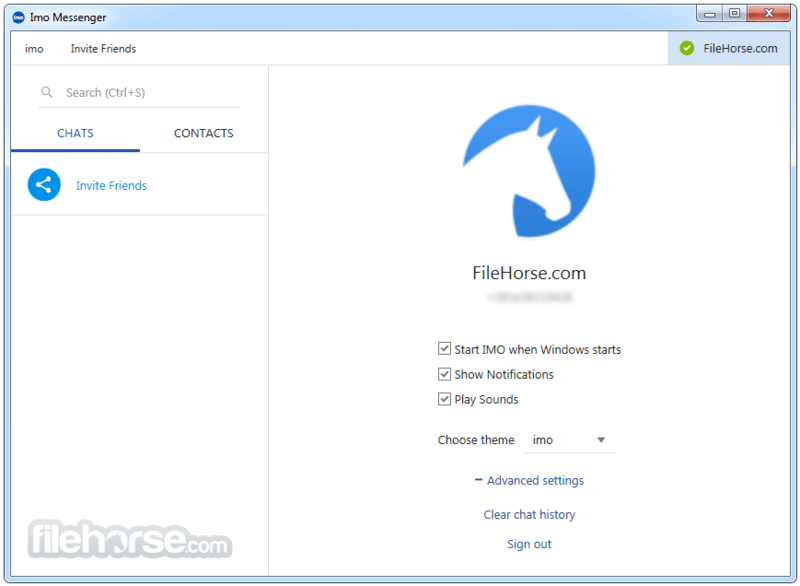 Download Imo Messenger offline installer for PC from FileHorse now. Audio and Video quality is good and works just fine as well as group chats or sending images, videos or exchanging data files with your friends.